Do you wish your skin could look better overnight? Well, I have good news and bad news. The good news is that you can increase the fibroblasts in your skin by a remarkable 149%. The bad news is that you'll have to give it not one but three whole nights. What exactly are fibroblasts? Fibroblasts are cells that help your skin stay firm and supple. 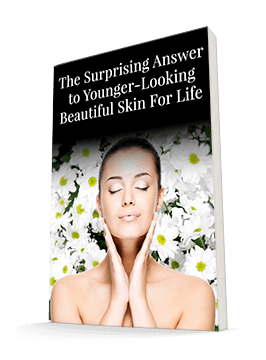 As you lose fibroblasts, wrinkles appear and deepen. And, of course, fibroblast production slows down with age. However, it's possible to support fibroblast production. As you can imagine, this was a huge breakthrough in the world of skincare. 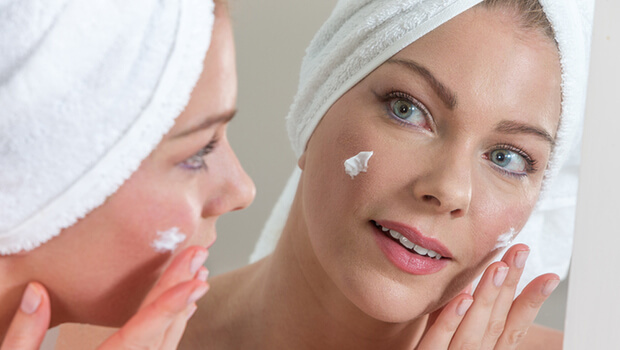 It turns out that tiny fragments of proteins, called peptides, tell your skin cells what to do to help your skin look its best. One type of peptide, called Corum hexapeptide, is a powerhouse when it comes to increasing fibroblast production. It can tell your skin to make fibroblasts at a rate you haven't seen in years - yes, even increasing production by 149% in three days. These fibroblasts then get to work improving firmness and elasticity, restoring your youthful glow and smooth, wrinkle-free skin. One study of Corum hexapeptide lasted just 28 days. At the end of the study, the volunteers saw a 51% increase in skin firmness and a 57% increase in overall skin elasticity. Those are incredible results for less than a month's work! The researchers are planning to keep investigating resveratrol in hopes of harnessing its power into a cancer treatment drug. But we all can benefit from adding resveratrol to our routines, even if we don't have a cancer diagnosis. Resveratrol may even help our bodies have the tools they need to seek out lurking cancer cells and eliminate them before they become problematic. Scientists have also harnessed the power of peptides into a new ingredient for skincare products called ChroNOline. It's incredibly effective at triggering your skin to make more collagen and elastin to rejuvenate your skin and reverse wrinkles, starting from the moment you first apply it. A study of this ingredient found that it reduced fine lines and wrinkles by 27% in just 56 days. Peptides are an incredible ingredient. I really did not believe that this ingredient could be this effective. One of our chemists sent me a sample when we were in the new upgrade and development of Système 41 and WOW! I saw results overnight. Then a few days later - I saw even more. I thought I was under David's spell (our head chemist), so I sent the second sample to a skincare junkie friend. She phoned me a week later when the sample was gone and said, "Where and when can I get more of this stuff?" I know that I want my skincare products to transform my face overnight, and I'm sure that you do too. That's why I'm pleased to announce that I've incorporated Corum hexapeptide and ChroNOline into the Système 41 Night Treatment. It's still got all the other glow-boosting ingredients that you love and rely on, but with the addition of peptides, the formula is now supercharged to repair and restore your skin more effectively and efficiently than ever before. Oh, and don't miss the new Miron packaging for Système 41 products. It's not only absolutely gorgeous but amazingly functional. Not only does it prevent the oxidation of the active ingredients, but it significantly improves how long the products potency lasts. This is exceptional because most skincare products begin to deteriorate the moment they are opened. Not the new Miron glassed Système 41. I'll tell you more about it in future alerts.